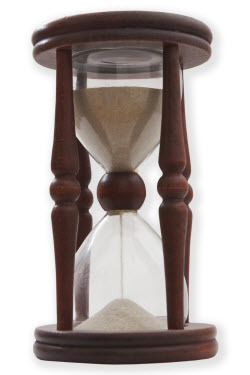 On this last working day of this year, staring 2011 in the face, I’m reminded: Time is the scarcest resource. Don’t waste it. Real wealth is not having to waste time. Meanwhile, somebody suggested to me that we can all tell our real priorities by tracking how we spend our free time. Sure, like you probably do too, I spend most of my time getting work done, sleeping, eating, traveling, and so on (no Gordon-Gekko-like wealth for me). But how much of my free time do I spend on the people and pursuits I value most? How would my downtime like television compare to time for relationships, or exercise, or writing, or reading? How would that look for you? But that line of thought gets ugly fast. Let’s move on. And do you allow enough time for settling things? Do you get enough silent time to hear yourself think? How much time are you alone without the txt, email, music, video, or web? How much time are you alone with people you care about? So what’s my resolution? I’m working on it. Give me some time.